“Any time you see a change like this in the corporate landscape, arts nonprofits in particular are sort of on pins and needles and playing close attention to it." This spring has definitely come in like a lion for the Atlanta arts community. 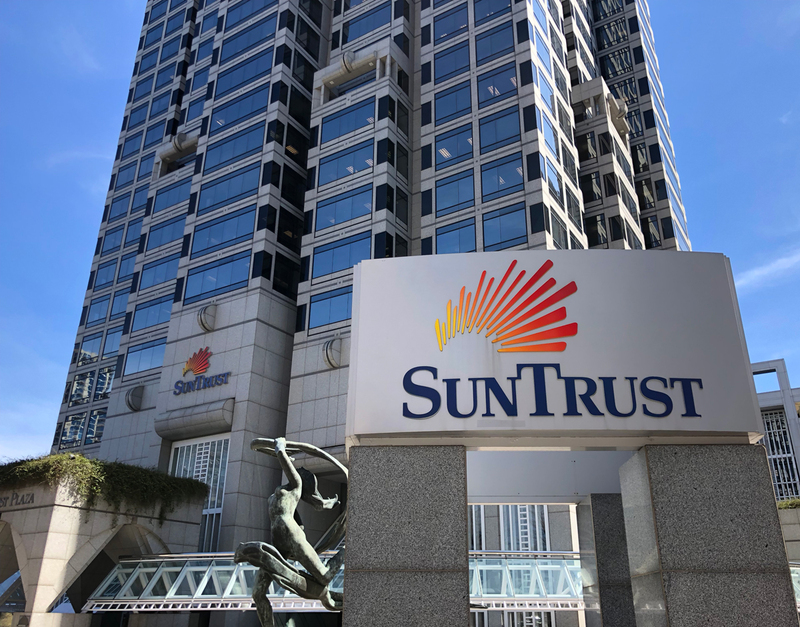 First there was the news that SunTrust Bank had been acquired by Winston Salem-based BB&T and that the unnamed merged company would move its headquarters to Charlotte, North Carolina. Then came the announcement that the Turner Broadcasting name will soon be a thing of the past under AT&T’s acquisition of WarnerMedia. As a result, many Atlanta nonprofits are asking questions about what this means for corporate support of the arts in the city. “Any time you see a change like this in the corporate landscape, arts nonprofits in particular are sort of on pins and needles and playing close attention to it,” says Atlanta Jewish Film Festival executive director Kenny Blank, who has relied on SunTrust support in the past and Turner funding since the festival’s inception in 2000. “We are all very much dependent on the good will and good neighbors of our corporate partners,” Blank says. The move of Georgia’s largest bank means not just the loss of a Fortune 500 headquarters, but also some anxiety about how arts organizations that rely on such corporate largesse will cope. SunTrust and the SunTrust Foundation have offered support over the years to, among others, such key Atlanta institutions as the National Center for Civil and Human Rights and the Woodruff Arts Center. Though the BB&T and SunTrust merger will see the consumer bank moving to Winston Salem, the wholesale bank will be in Atlanta. And for decades Turner has been a prominent, enduring booster of Atlanta’s creative landscape, an almost ubiquitous presence popping up in support of the Atlanta Film Festival, the Atlanta Ballet, the Atlanta Jewish Film Festival, and the National Black Arts Festival, among many other art entities and events. Though the arts community and many Turner employees have adopted a wait-and-see attitude, with inevitable layoffs and relocations likely in the mix, what will remain of Turner’s Atlanta presence is mostly uncertain. In name at least, the AT&T deal signals the end of an era, with a company founded on the legend and entrepreneurial spirit of its maverick, iconoclastic founder Ted Turner now broken down into scattered entities. TNT, TBS, and truTV will fall under the WarnerMedia Entertainment brand; CNN, CNN Digital, HLN, Turner Sports, and Bleacher Report will be encompassed under WarnerMedia News & Sports; and Cartoon Network, Adult Swim, Boomerang, and TCM will be folded under WarnerBros. Whether those former Turner brands will stay in Atlanta, move entirely to a larger media hub such as New York or Los Angeles, or a mix of those two options is still unknown. Some arts leaders in the city and further afield have expressed concern that the reconfiguration or exit of Turner and SunTrust means two companies with strong local ties may no longer feel beholden to local organizations, now tethered to corporate behemoths with operations spread across cities. Frank Sesno, a former CNN correspondent and current director of George Washington University’s School of Media and Public Affairs, believes there are undeniable changes afoot for the local arts scene with this corporate musical chairs. “I suspect the arts will feel the shift in a significant way, not because the new companies don’t care but because their identities and priorities lie elsewhere,” says Sesno. “The arts build bridges across creativity and community. When that community connection is lost, it’s felt profoundly. Whether and how this affects funding for the arts, I cannot say. But a leading corporate giant has moved on,” he says of the Turner breakup. Of course, this isn’t the first time that Atlanta arts leaders have had to contend with changes to funding with recessions, changes of administration, and changing corporate agendas always in the mix. Louise Shaw, who has worked for more than 30 years in Atlanta’s art world, is the former executive director of the Nexus Contemporary Arts Center (now the Atlanta Contemporary) and the current CDC Museum curator. She has been on the scene long enough to have seen the ebb and flow of arts funding in the city, though this recent development strikes her as particularly dire. Like many others in the arts community, Shaw also worries how the exit of not just companies, but their in-house talent alters the creative face of the city. “One out of every 10 dollars we have is from our Turner relationship,” says Atlanta Film Society executive director Chris Escobar. He adds that Turner has also provided immeasurable benefits to the city and to the Atlanta Film Society in the way of board members, festival volunteers, a rich pool of talent to draw from. Companies like Turner attract employees to Atlanta who end up enriching the larger creative community. “That impact cannot be understated,” Escobar says. As an immediate example of the local impact of that brain trust, Betsy Holland, Turner’s director of culture and engagement, will be honored at this year’s Image Film Awards for her contributions to the film industry. “We have all been more dependent on corporate support than our counterparts in other cities,” says Escobar, when measured against other funding streams like government support and the private, patron giving that so many cities have come to rely on—an area where Atlanta has often been behind. Woodruff Arts Center president and CEO Doug Shipman echoes how important the support of corporate entities has been to Atlanta’s arts organizations. For his part, Central Atlanta Progress president A.J. Robinson remains hopeful about how these relocations and changes will play out.